Vegetarian + Californian = we ❤ Mexican food! Rice and beans, baby! We’re all over ’em. Toss in some onions, tomatoes, cilantro, shredded lettuce, colorful bell peppers – veggie goodness abounding. So versatile, so delicious. And like most busy families, we need quick meals. To quote Rachael Ray, 30 Minute Meals. Or, how about 20 minutes? Or less? Tuesday is a long day for our family. We might all be home for two hours (or less) between school and activities before several of us scatter again. So dinner has to be fast, though I won’t sacrifice the health- or yum-factors. Enter the most versatile meal in our repetoire. 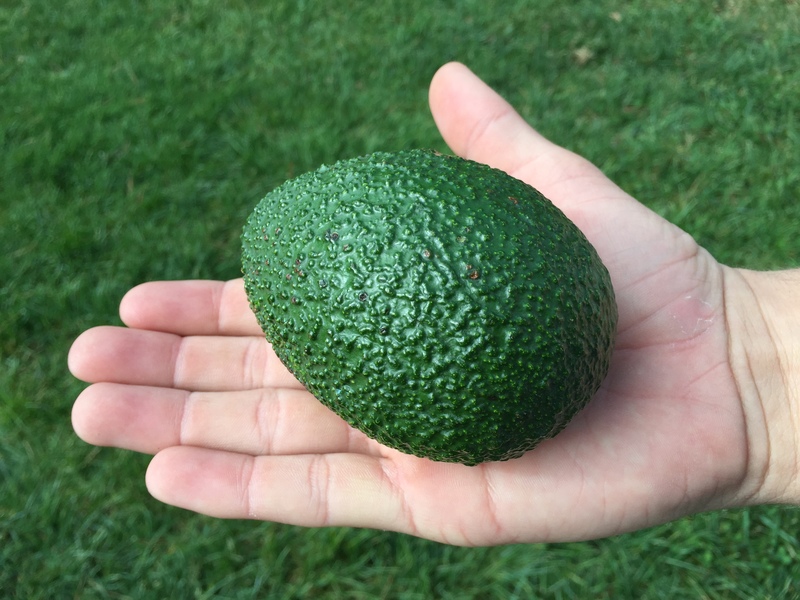 At its essence, bean dip, but it can be burritos, tacos, enchiladas, nachos – you choose (at our table, we often have some of everything, depending on who’s in the mood for what; as Tween says, “Style your own meal!”). And just for fun, let’s have it on our busiest day of the week and name it Taco Tuesday. In a large saucepan, warm refried beans. As they begin to soften, stir in salsa. Add whole beans and rice and warm through. It’s that easy! The brown rice is the only thing to slow this meal down. I use Trader Joe’s brown basmati rice, which cooks uncovered in 20 minutes. It smells like popcorn (perk!) and needs no tending, so I will often cook up a quick pot (1 c uncooked rice to 2 c boiling water + 20 minutes on medium-high heat) while I’m doing something else – kitchen clean up or homework help. *Burritos might be our most-often use for this dip. Warm up some whole wheat tortillas, shred lettuce or cabbage, chop tomatoes, and the kids like to add cheese. *I have been known to spoon this gooey-goodness on to a bowlful of shredded lettuce for a taco salad. Add any other veggies you like + salsa as salad dressing. *If you have taco shells or tortilla chips on hand, you can use all the same ingredients to make tacos or nachos. *Spread dip on warm corn tortillas to add a little more veggie-power to fish tacos. 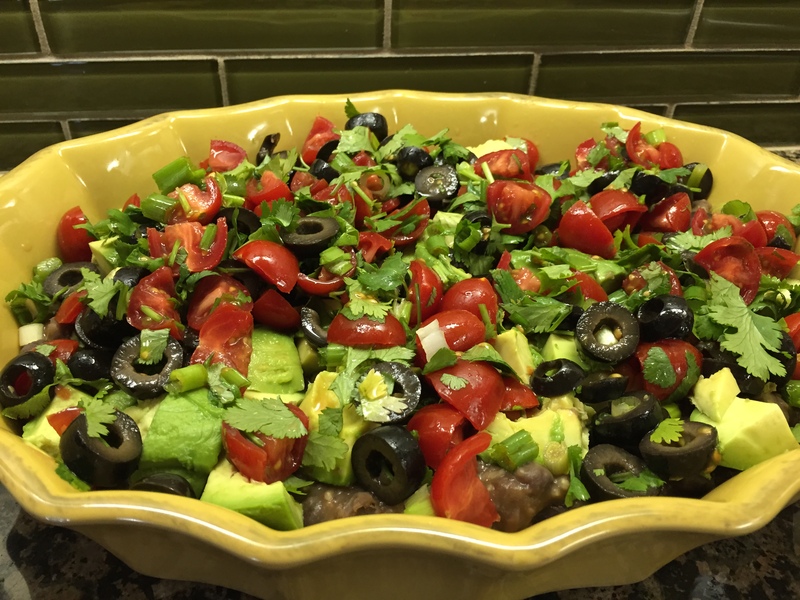 *Yesterday I put the warm dip in a casserole dish topped with chopped veggies – avocado, tomatoes, green onions, olives, cilantro – and we had a tasty vegan version of 7-layer dip for our Superbowl party (although next time I might add some chopped jalapenos for kick). This entry was posted in cooking, Uncategorized and tagged 30 minute meal, bean dip, black beans, burritos, enchiladas, fish tacos, Meatless Monday, Mexican food, nachos, taco salad, Taco Tuesday, tacos, vegan, vegetarian by Milagro Mama. Bookmark the permalink.